The single biggest challenge in Indian cold chain logistics is the consistent maintenance of optimum temperature for the product throughout its journey, informs Neeraj Bansal, CEO, DHL SmarTrucking in an interaction with Cooling India. What are the growth drivers for Cold Chain Logistics? Which sector generates the maximum demand? According to the Global Cold Chain Alliance, an industry group representing temperature-controlled logistics companies, the cold chain sector in India is expected to grow over the next five years with a compound annual growth rate (CAGR) of 13-15 per cent. Indeed, the cold chain segment in India is developing at a rapid pace, mainly due to the shift in focus from increasing production to improving storage and transportation facilities. Cold chain logistics has become an integral part of the supply chain industry comprising refrigerated storage and refrigerated transportation. The growing demand for cold chain logistics from organised retail, pharmaceutical industry and e-commerce, including online grocery is driving the demand for cold chain solutions in India. India is one of the largest producers of agricultural products and one of the global leaders in the pharmaceutical sector. Yet, it is known to have fledging cold chain, which results in supply chain losses of food and other resources. So, what are the solutions offered by DHL SmarTrucking in order to stop these losses? As you have rightly pointed out, India is the world’s largest producer of many fruits and vegetables; however, there is a high level of wastage and quality degradation due to improper handling during transportation. These perishable products depend on efficient and reliable long-haul trucking to keep their freshness intact. Fruits and vegetables are subject to rapid deterioration if they are mishandled during transportation. Temperature and humidity also impact the shelf life of these products. Our Coldchain SmarTrucking solution helps in keeping agricultural produce fresh and getting them to market quicker. DHL SmarTrucking Coldchain uses state-of-the-art technologies to deliver temperature-sensitive shipments and provide an unmatched shipping experience to our customers across sectors, including e-commerce, online grocery, retail, pharmaceutical and food and beverage. What are measures taken by the company for steady and efficient supply of power to reefer trucks? Our reefer trucks can transport a diverse variety of goods in temperatures ranging from -25ºC to +25ºC and to ensure that the specific temperature is met, we have an emergency backup, which serves as a back-up power supply in case of a breakdown. With DHL SmarTrucking, businesses can track their consignments at any time of the day and monitor, not just the location of the truck, but also the temperature inside the container. We have three digital sensors respectively positioned at the front, mid-section and rear of the containers for constant monitoring of air flow inside the container, even when goods are stacked in a pallet form. These ensure that customers get real-time data on the temperature of their shipments at any time of the day. DHL SmarTrucking functions with automated solutions that use IoT-enabled sensors, which help with route optimisation and minimise fuel wastage, for example by reducing instances of long and wrong routes and avoiding routes with heavy traffic. The alerts and status updates are sent to customers and DHL SmarTrucking’s operations teams. What are the technological innovations to achieve a more optimised, cost-effective temperature-controlled supply chain? Today, the technology offers a variety of tools to maintain products at the right temperature and consistently monitor the shipment, using temperature sensors and GPS tracking to self-reporting alerts for computers and mobile devices. Smart refrigerated units help monitor the temperature and humidity inside the container, and the location and motion of shipments, in real time. Advanced tracking abilities give relevant advanced warning of major changes or malfunctions of any equipment. These types of notifications help ensure required maintenance is performed regularly or even secure alternate capacity before a load is compromised. The focus on end-to-end temperature control for all cold chain products is a relatively recent trend in India; until then, temperature control used to be specified and observed only for the storage of a limited range of products. The situation is now changing as transportation regulations across the world evolve. Businesses that require cold chain services, such as those in the pharmaceutical and food and beverage sectors, are also increasingly demanding stringent standards, transparency and visibility into their shipments, due to the sensitive, sometimes critical, nature of their goods and the inherent risk of loss. It is time for a new, smarter cold chain – one that is informed by knowledge of the various economic sectors and international regulations, has robust standard operating procedures, ensures shipment security, end-to-end visibility and control, and is driven by the latest technologies that deliver competitive advantage to businesses. What are the challenges that are faced during the operations of cold chain supply logistics? The single biggest challenge in Indian cold chain logistics is the consistent maintenance of optimum temperature for the product throughout its journey. While there are strict standards internationally for cold chain, standards in India are not yet as stringent, and due to lack of oversight and accurate reporting, businesses find it difficult to be fully confident in the temperature integrity of their cold chain goods during storage and transport. DHL SmarTrucking adheres to global standards for our cold chain offerings. We are FSSAI (Food Safety and Standards Authority of India)-compliant and follow the latest ISO standards for cold chain. Our reefer trucks can maintain products in the range of -25˚C to +25˚C for all perishable goods from food and beverage to pharmaceuticals. The reefer unit is self-powered so that proper consignment temperature can be maintained even in the case of breakdowns. Three digital sensors for Uniform Temperature Distribution Monitoring, strategically located in the front, mid-section and rear of the container to monitor uniformity of temperature, help remotely monitor and manage container temperatures in real time, ensuring that products remain fresh during the journey and we can deliver them to our customers in top quality. We maintain a high-security network across arterial highways, with Emergency Response Teams on standby for contingencies, to ensure complete safety of the goods while in transit. Our fleet is state-of-the-art, built with the best-quality materials for the best functionality – stainless steel interiors, T-section flooring, hybrid metal exteriors and 120 mm foam insulation to maintain strength, container temperature and quality. What is the impact of GST on cold chain business in India? Although the sector is experiencing certain challenges related to policy and infrastructure, initiatives undertaken have the potential to provide a boost. Despite the concerns around GST and the issues with e-way bill rollout that this sector has been facing, once the wrinkles have been ironed out, the simplified GST structure and faster e-way bill process will make movement across borders easier and quicker. The ongoing Bharatmala project, which is aimed at expanding the Indian road network, will greatly ease traffic bottlenecks. Companies can derive tremendous benefits from the transformation that is sweeping the Indian logistics sector. The expected infrastructure and policy developments will enhance shipping speed and ease-of-business. This will enable on-time deliveries so that companies can respond to shifts in consumer trends more quickly and cost-effectively. 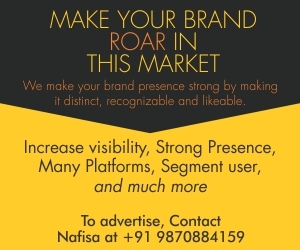 What is your opinion on the Government of India’s ‘Make in India’ campaign for making the country a manufacturing hub? As a commercial road transport company, we do not manufacture a tangible product, we provide safe, secure and reliable road transport solutions to manufacturing companies across sectors and industries. 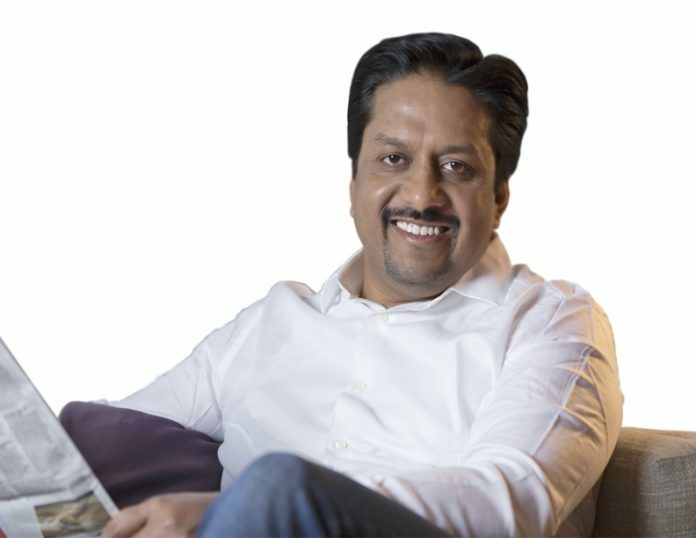 In the last few years we have seen the introduction of a number of policies that are directly and indirectly supporting the growth of the cold chain segment in India across industries, including the Make in India campaign which aims to turn India into a manufacturing hub, which will drive the demand for smarter, faster, reliable and more organised logistics. The Ministry of Food Processing Industries is implementing a scheme for creation of infrastructure for agro processing clusters under Pradhan Mantri Kisan Sampada Yojana to create modern infrastructure for food processing in the country. Another initiative from the government is the development of Mega Food Park Project that aims at providing a mechanism to link agricultural production to the market by bringing together farmers, processors and retailers so as to maximise value-add, minimise wastage, increase farmers’ income and create employment opportunities, particularly in cold chain logistics. What is your outlook for the sector for the fiscal 2018-19? Our aim is to disrupt the logistics industry in India through judicious and progressive use of technology, customised to the industries we serve. This is a long-term commitment and we will continue to invest in India, a key market for DHL. We have an asset-heavy business and we are investing in technology, employees, vehicles and business needs. 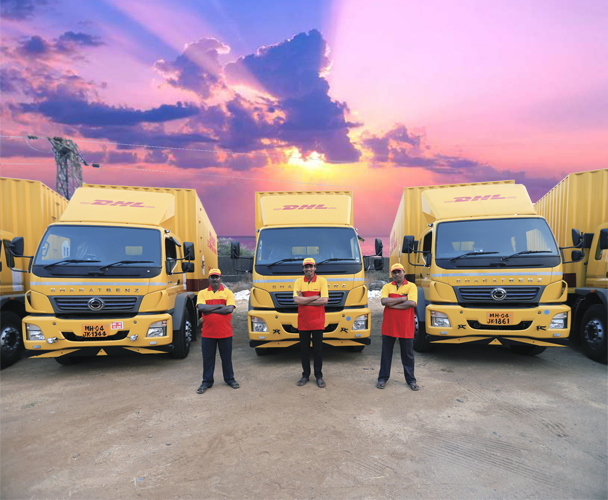 Ultimately, our aim is to provide reliability, visibility and a seamless customer experience, and DHL SmarTrucking will undertake the necessary steps to ensure this. To support our customers with their logistics requirements and help them achieve business success, we will continuously invest in quality services, innovations and infrastructure.